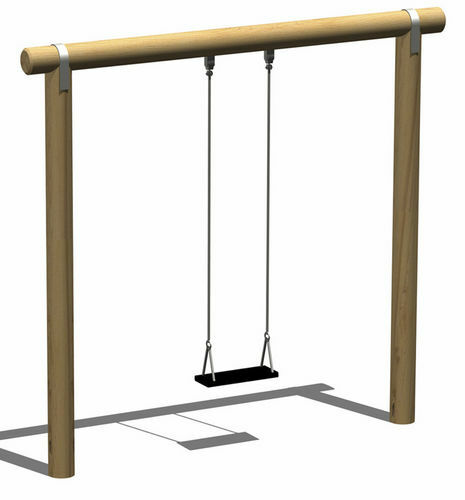 Classic swing, very strong and compact, made of 13 cm diameter cylindrical poles of heartfree, lamellar wood, polished over the entire surface to provide maximum stability, durability and safety. The two pillars also have a concave head and galvanized steel bracket for fastening the horizontal beam. The seat is made of soft anti-shock rubber with metallic inner core. 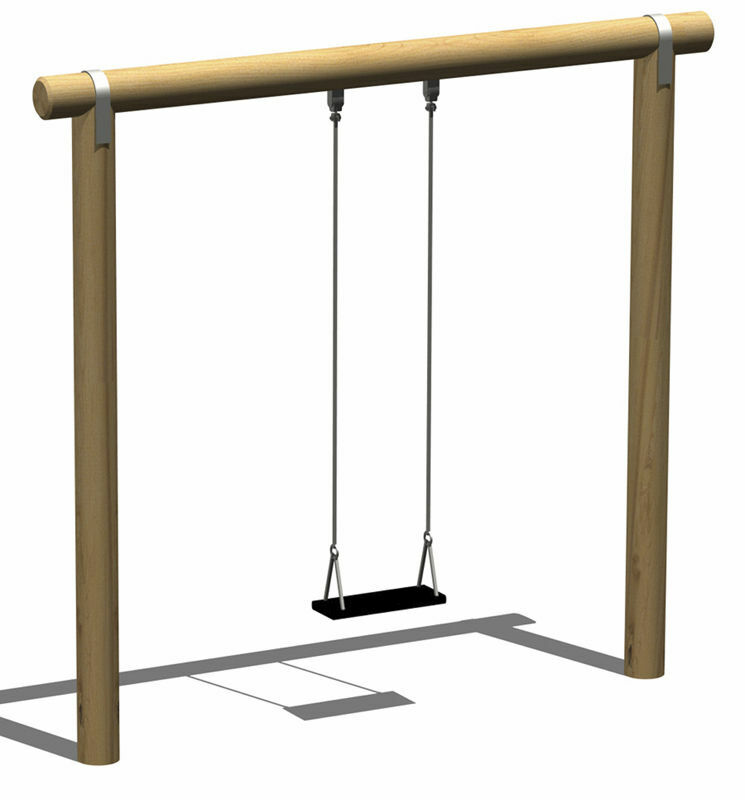 The support chains are made of stainless steel in a tight mesh to prevent the insertion of fingers. The rotating pins are made entirely of stainless steel with self-lubricating bearings. 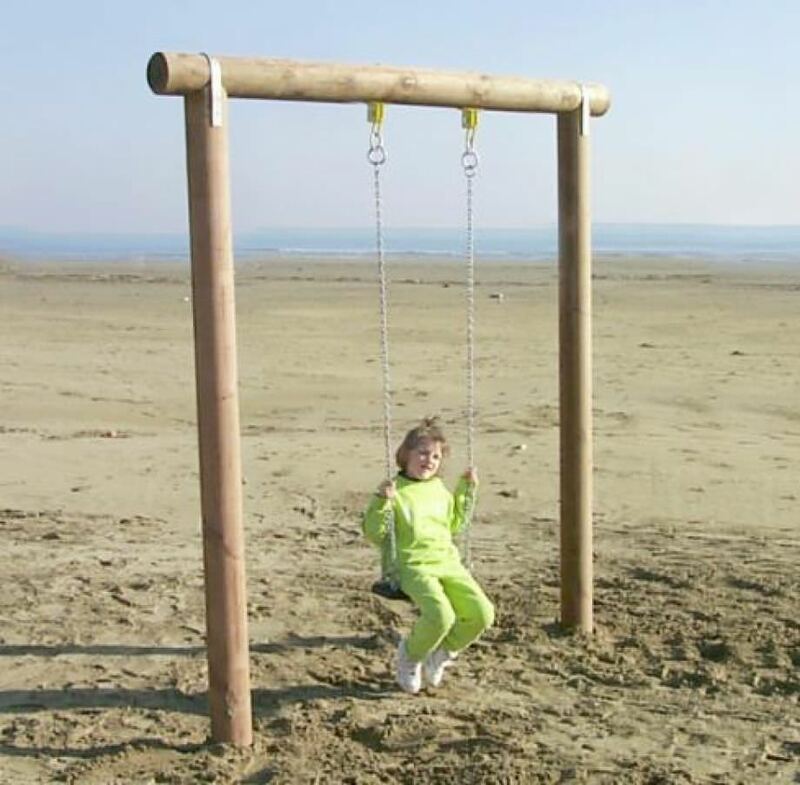 Also available with a safety seat cage for small children or with a special seat that opens for disabled users.